less than a minute ago by PissedConsumer1517351 #1517351 This litter clumps the best out of any litter I've ever seen. Not a lot of dust and I don't have to cover my nose and mouth when I scoop it! I love it! 2 minutes ago by PissedConsumer1517350 #1517350 I keep getting swept under the rug. I have gotten 6 different #'s of who is going to take care of my damage...….all with a bunch of dead end answers. 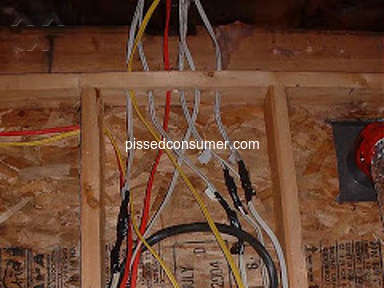 I would have probably not found out about the problem but was lied to about the contract price and had Dish reinstall their equipment and found the problem. The only phone# I got was not in service which says a lot about that company. It was 1-612-277-7363, which when called, gets you the recording. 2 minutes ago by PissedConsumer1517349 #1517349 1.0 I ORDER FROM THIS RESTAURANT ON A REGULAR. 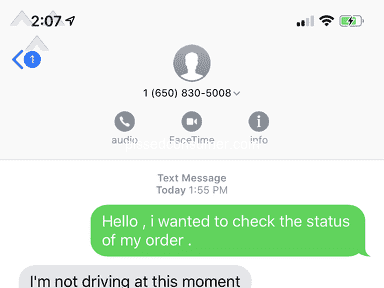 BUT THE DRIVER WENT TO THE WRONG ADDRESS NO CAL OR CONTACT. WHEN I CONTACTED THE COMPANY THEY REACH OUT TO THE DRIVER , THEY STATED THAT THE DRIVER CAME BACK TO THE RESTAURANT. BUT THAY NEVER RETURNED WITH THE FOOD. I BELIEVE THE DRIVER AT IT . I WILL BE DOING A CHARGE BACK. 3 minutes ago by PissedConsumer1517347 #1517347 After 40 years I have seen the quality of the service, quality of the doctors cleanliness going down the drain this is not the same Lahey than before.I have so many examples that this page is way to short to start. My wife and I are both patients and if you express the desire to hear a long story ,impossible to compose it hear we will be happy to meet you. Mr Electric - NEVER USE THIS ELECTRICIAN - DANGER! DANGER! 8 minutes ago by DearPekingese #1517342 I never ordered, never mind receive any item(s) from you! I can’t find a phone number ANYWHERE- can you PLEASE have someone from your customer service/refund department call me? 9 minutes ago by StraightZebra786 #1517341 I have contacted UPS Corporate many many times to complain and inform about their Big Brown truck speeding in my neighborhood. They always say they will take care of it and within this past week two of them have flown by my house in a posted 15 mile per hour zone. Brachs - Why isn't my favorite Easter candy available anywhere? 10 minutes ago by HonoredDragonfly #1517340 I have tried Target, Walgreens, CVS and everywhere else to find this Brachs product and it is not available. Why not, it is obviously a best seller. ASC Warranty - This company cares about this company only! 18 minutes ago by PissedConsumer1517336 #1517336 Columbus ohio,franchise *** losers.Can't clean their *** let alone a house.Ghetto contractors.This company is the parasitic leaches,that insurance companies push on victims.Frikking ponzi scam.They thrive on trying to forclose on homes.Try that *** with me?I will forclose on your face. ADT - Non stop harassment from 6 or 7 sales reps. I’ve repeatedly asked them to stop coming to my door. 22 minutes ago by FascinatedXRayTetra760 #1517333 Every day since I moved in last week. 26 minutes ago by BrightFinch202 #1517330 1.0 Purchased Cell Phone battery less than a year ago, Had lifetime warranty! I called and talked to a Bu__ *** seller behind the counter by the name of Quin__N. He said bring in the battery and it will be replaced. Drove 30 minutes too hear the stink coming from Q's mouth. He sold the last 2 on the shelf this morning. I had just called 1 hour before the *** story flew. Then he stated that the replacement battery could be mailed to my house, more stink! He said it couldn't be because it was warranty issue. There wasn't a problem when I purchased the battery!